Sat, March 23, 2019 1:00 P.M. Learn to play or improve your game! 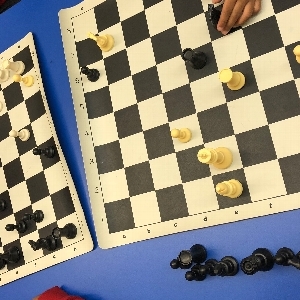 Chess Club meets every Satruday, 1:00 p.m. -2:00 p.m. in the Story Hour Room. School-age children. No experience necessary. All materials provided. Chess coaches are here to help. Brought to you by LEAP (Free Library of Philadelphia Literacy Enrichment Afterschool Program) and ASAP (Afterschool Activities Partnership).